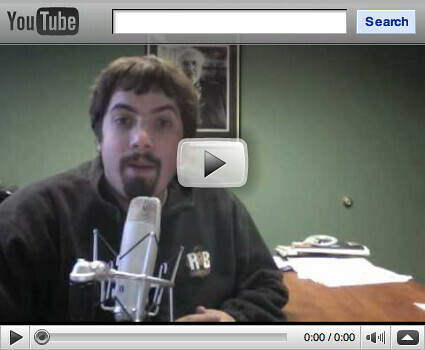 A week ago, YouTube changed the format of their videos to wide screen and HD format. My main issue back then was that the embed options did not give people a way to embed the wide screen format, easily. That has changed. YouTube now allows you to embed a wide screen format and they also added a search box at the top of those embedded videos. In addition, Google added a search box to the top of the search frame of an image search. Let me explain this below. 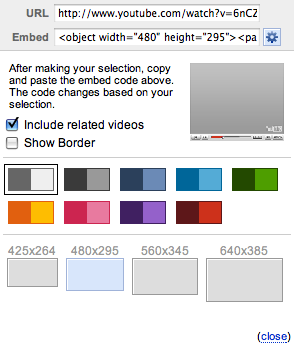 Now, depending on your video upload, if it was done in wide format or standard format, YouTube now gives you different embed size options. As you can see, the embed options for standard format include 320×265, 425×344, 480×385 or 640×505. The embed options for the wide screen format include 425×264, 480×295, 560×345 and 640×385. Notice the search box live at the top of each of these videos. YouTube also announced changes to the YouTube channels page including a Recent Activity section and a new privacy settings page for controlling access.